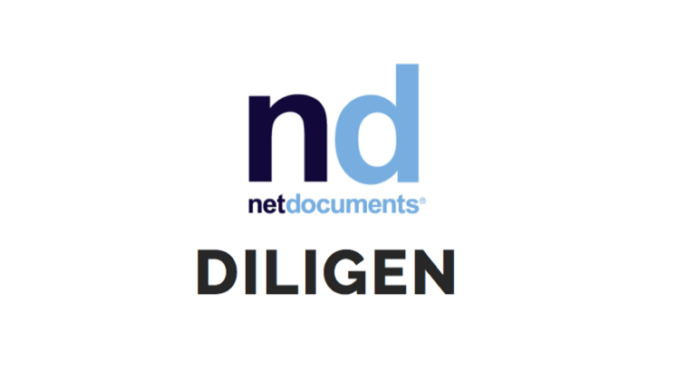 Legal AI company, Diligen, has today announced a new native integration with NetDocuments, the cloud-based content services provider, in further evidence of the platformisation trend taking hold among legal tech companies. The move also potentially increases Diligen’s access to clients across the NetDocuments’ ecosystem and could provide a useful boost to the AI company’s growth. The integration, available globally today, allows customers to ‘simply and securely summarise and analyse legal documents using Diligen’s AI and machine learning tools’ for matters such as contract review. The result means that documents can be analysed without leaving the secure NetDocuments ecosystem. It’s also part of NetDocuments’ AI Marketplace strategy which allows software and technology providers to deliver embedded machine learning functionality across NetDocuments’ global customer community. The AI company says that the benefit of this is that it ‘allows CIOs to balance their need for security while giving lawyers tools for faster, higher quality contract review’. The integration follows a growing trend among legal tech companies, especially those with AI doc review technology, to link up with other platforms that are often the store of the documents needed for review, or where they are needed for data collaboration purposes. HighQ has built its AI Hub for just such a need, while Relativity has built a cloud-based ‘App Store’ of other companies’ applications that allows users to engage with the platform’s document workflow capability and also leverage AI applications such as Heretik at the same time. ‘It’s really rewarding to know that you have poured everything into something you really believe in, building it from scratch, knowing that it will have tremendous benefits for people, and to see the interest level so high is really gratifying for us. The momentum we’re experiencing is exciting,’ she added.